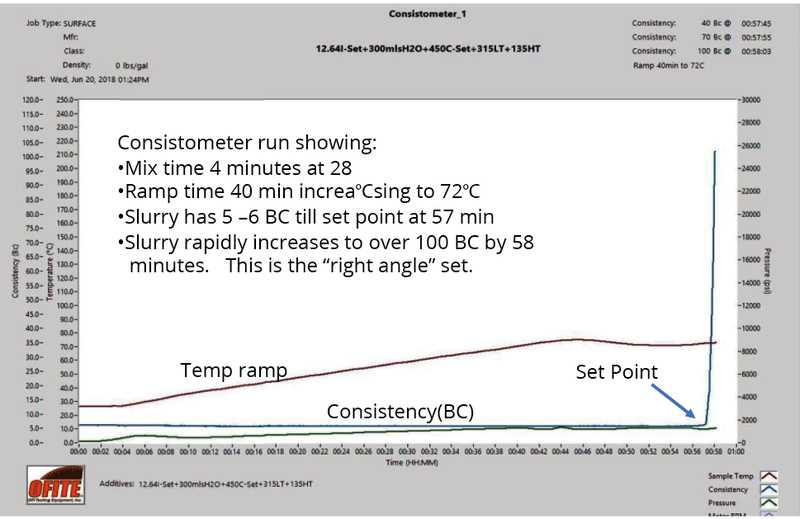 Lab testing is done with a consistometer to verify setting time for each SmartSet formulation at the target formation temperature. In the example test chart, temperature was increased from mixing at room temperature to 72°C temperature over a 40 minutes period (known as ramp time) which simulates the time to pump it downhole to the formation. Then the test continues at 72°C formation temperature until the right angle set point is observed. 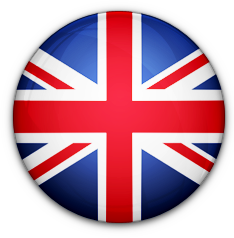 The time to set point varies by admix composition and final temperature. The I-Set additive is used as the main time inhibitor. 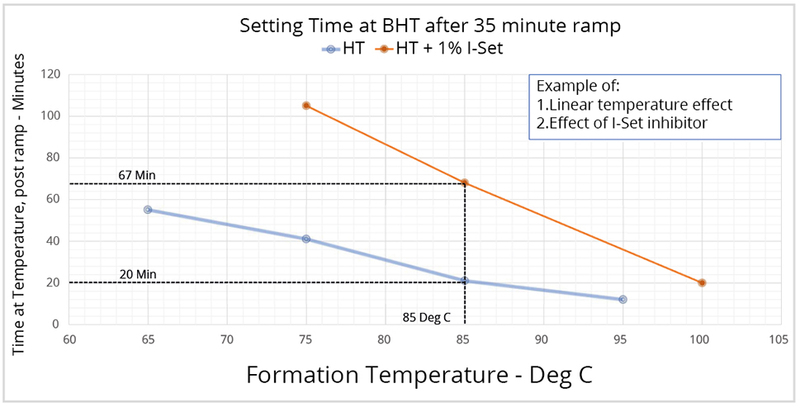 The graph shows the time delay effect of 1% I-Set on the SmartSet formulation compared to the SmartSet formulation without I-Set over a range of bottom hole temperatures.